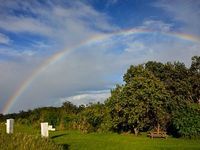 Honomu's prosperity and development started in the year 1876, when the Reciprocity Treaty was agreed by the former Kingdom of Hawaii and the government of America. 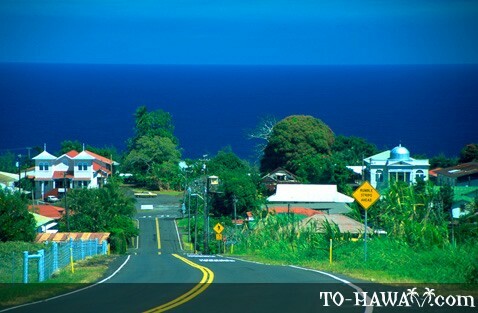 During that time, Honomu was a bustling sugar town. Today, the main attraction in the area and the reason why people come here is Akaka Falls, a 422-foot (129 m) waterfall. Other than that Honomu consists of a row of little timber-frame buildings housing art galleries, crafts stores and eateries. Another attraction is the two huge banyan trees which stand south of the junction for Akaka Falls.